Over the years as we look in the mirror, we may sometimes notice that more of our teeth are showing. They somehow look longer. While teeth do not grow, gums can recede over time, showing more of our teeth. Receding gums are a common concern among patients, yet it is often misunderstood. While the internet can be a useful resource for educational information, it is also filled with myths and inaccuracies that can further exacerbate the issue. So, what are the causes, treatments, and prevention of receding gums? Let’s start by addressing the two most common myths. The first is the idea that receding gums can grow back by themselves. While that would seem an ideal scenario, it is not true. Another myth is the use of home remedies, like gels or oils to repair and grow back receding gums. Olive oil, coconut oil, lemon oil, and Aloe Vera may relieve the pain of receding gums, but it will not grow new tissue. Be aware that receding gums can be a symptom of gingivitis or a more serious indication of periodontal disease. When discomfort is first felt, it is best to skip homemade remedies and make an appointment with your dentist instead. Genetics – while not directly inherited, genetics can play a role in the thinness or thickness of the gum tissue as well as bone structure. Age– Although not a direct cause of receding gums, this problem becomes more prevalent as we age – 88% of persons age 65 and older will experience receding gums in at least one tooth. Alignment of teeth – from a crowded mouth to a small jaw bone, additional factors may contribute to receding gums. Grinding – stress plays a significant role in teeth grinding. 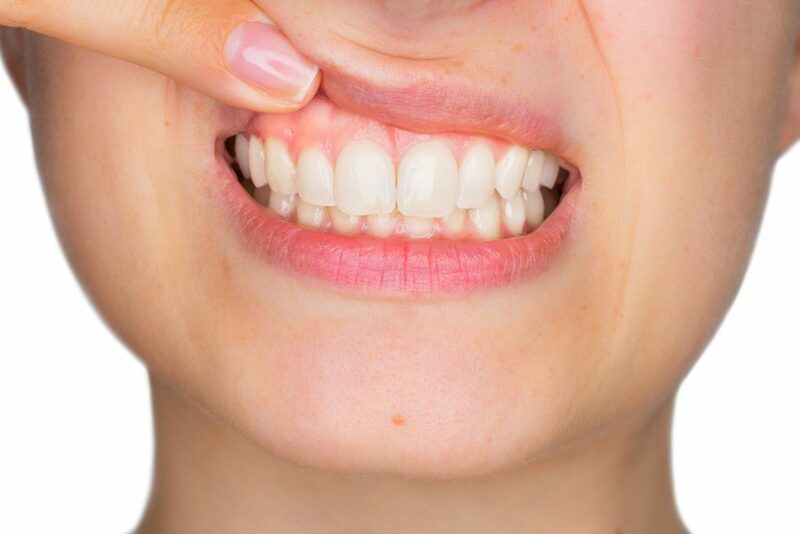 This constant force wears down your teeth and may cause gums to recede. Trauma – being hit in the mouth or experiencing injury can contribute to receding gums, but did you also know unconscious actions like chewing a pencil can cause injury? 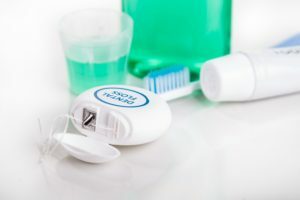 Brushing – Using the incorrect toothbrush, brushing or scrubbing too aggressively, poor flossing habits, and improper brushing technique, can all contribute to gum recession. A conversation with your dentist is the best place to start. Some gum recession may be stabilized with regular cleaning, while more advanced issues may require a visit to a periodontist. Gum recession associated with gum disease or periodontal disease, are addressed with non-surgical and surgical procedures. 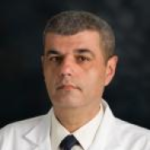 In severe cases of recession and when indicated, a connective tissue grafting procedure may be required. This process involves placing grafted tissue over the exposed roots and then allowing the tissue to regenerate in that area, protecting the roots. Sometimes, other materials in lieu of your own tissues can be used as graft substitutes but it’s best to discuss this with your dentist and/or periodontist because it varies from case to case. 2 times 2 Brush twice per day for two minutes each time. 45° degrees Clean with a soft-bristle toothbrush angled at 45-degrees. 5 seconds When using an electric toothbrush, allow soft rotation for 5 seconds on each tooth. 6 months See your dentist every 6 months for a cleaning. The internet is a great resource for recipes. Your dental professional is your best resource to care for your mouth. Contact us today to learn more about gum recession, gum disease, and the steps you can take to protect your smile long-term.